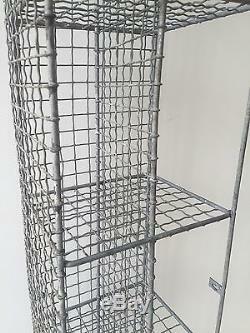 Lovely 1950's wire mesh unit. 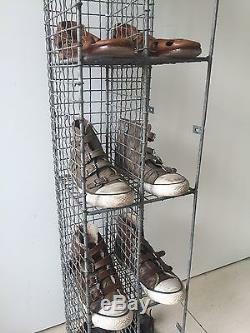 Originally used under a school gym bench to store shoes. 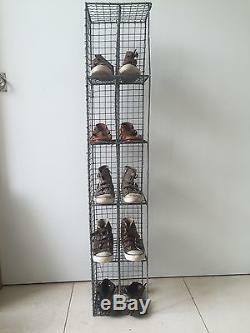 Great for storage, especially in small spaces. It has attachments so can be fixed to a wall. 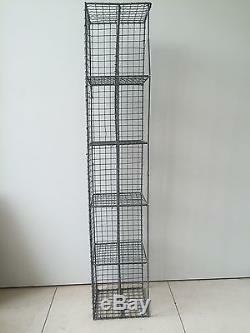 Height 133cm x 26cm x 22m. 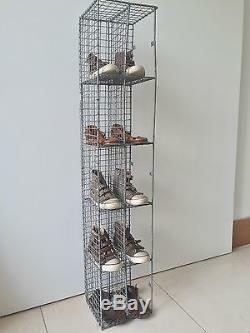 The item "Vintage Pigeon Hole Corner Unit Mesh Wire Bathroom Shoe Rack Cupboard Storage" is in sale since Wednesday, May 18, 2016. This item is in the category "Antiques\Antique Furniture\Cabinets\20th Century". The seller is "47belleboutique" and is located in Bristol, Bristol.